Small business email marketing has been around for just about as long as the concept of email. 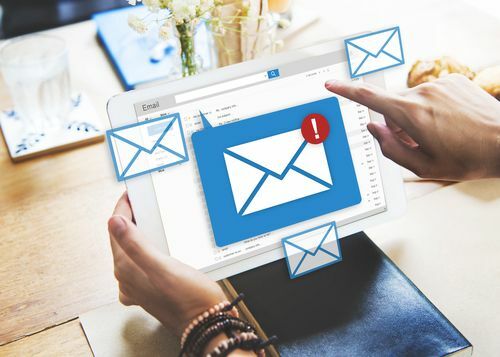 While it used to take considerable effort and a lot of money, small business email marketing is now much more accessible to the average business manager and owner. The real question is whether or not email marketing and a regular email newsletter can really help your business grow. Keep reading to learn more about small business email marketing and generating the right newsletter to build your business instead of standing still. One of the biggest benefits of creating an email newsletter is to stay connected to your current clients and make sure that they come back to you when they need your services or products. .
Sending the right email newsletter isn’t always an easy task though; many small business owners simply don’t know how to do it the right way. Small business email marketing can be effective, but your message needs to be simple and to the point. For example, if you’re having a year-end sale on products, that should be the focus of your email. While sending emails out for the holidays or other events can be helpful, limiting your messages to those that are very relevant and potentially helpful is a wise idea. You don’t want your customers trying to get off your email list because you send them unimportant information too frequently. Sending out email marketing newsletters can be helpful for your company, but sending too many isn’t wise. Limit your emails to once per month to avoid aggravating your customers and making your brand seem desperate for sales. If done properly, email marketing may even help you find new prospects and customers. Here are some great small business email marketing templates that even include online landing pages for lead generation.